In the first minutes of the writer-director David Ayer’s “Fury,” about American soldiers slogging through Europe in the final days of World War II, Brad Pitt, as the tanker Don Collier, slides his knife behind the eye of a German lieutenant. “Piercing his brainpan with a CRACK,” is how Mr. Ayer’s screenplay describes the move. (In Dolby Digital sound, it will be a very loud crack.) Mr. Pitt, our hero, then calmly wipes his blade clean on the German’s uniform. It’s a relentlessly authentic portrayal — one stuntman was run through with a bayonet on the set — of the extremes endured, and inflicted, by Allied troops who entered Germany in the spring of 1945. Quentin Tarantino’s “Inglourious Basterds,” which also starred Mr. Pitt, was brutal but surreal. Few believed that a real-life counterpart to his blood-crazed Lt. Aldo Raine had collected Nazi scalps by the hundred. The resulting movie, Mr. Ayer said, was intended both as a personal journey and as a correction to the pop cultural record. On the personal front, “Fury” is meant to unlock the psychology of Mr. Ayer’s older relations, who fought but seldom spoke of it. And the film trades on his own military experience as a sonar operator on an attack submarine in the 1980s. American tank casualties during the war in Europe were horrific. 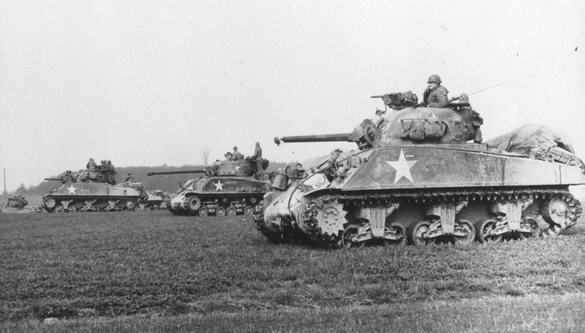 The Third Armored Division landed at Normandy with 232 M4 Sherman medium tanks, the Army’s primary armored weapon. But it had 648 tanks completely destroyed, and another 700 knocked out, as replacements and those repaired were repeatedly hit. The armor was too thin, and the tanks were prone to burn when hit even by a hand-held panzerfaust anti-tank weapon. Crews were incinerated, and often listed as missing, not killed, because they left no remains. Commanders, peering from atop the turrets, were routinely shot in the head. “Henry Ford built the Sherman, Ferdinand Porsche built the Tiger,” the better-armored German tank, said Bill Block, a producer. 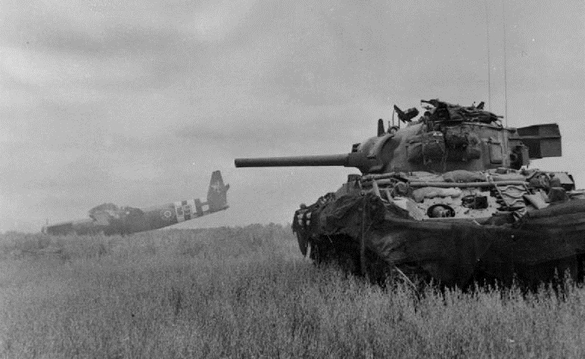 Many tankers, assured of the Sherman Tank’s strength in training, only learned otherwise in combat. “Seeing our mounting tank losses made me realize that our armored forces had been the victims of a great deceit,” Belton Y. Cooper, a veteran of the tank war, wrote in the book “Death Traps,” one of many sources Mr. Ayer consulted for his script. 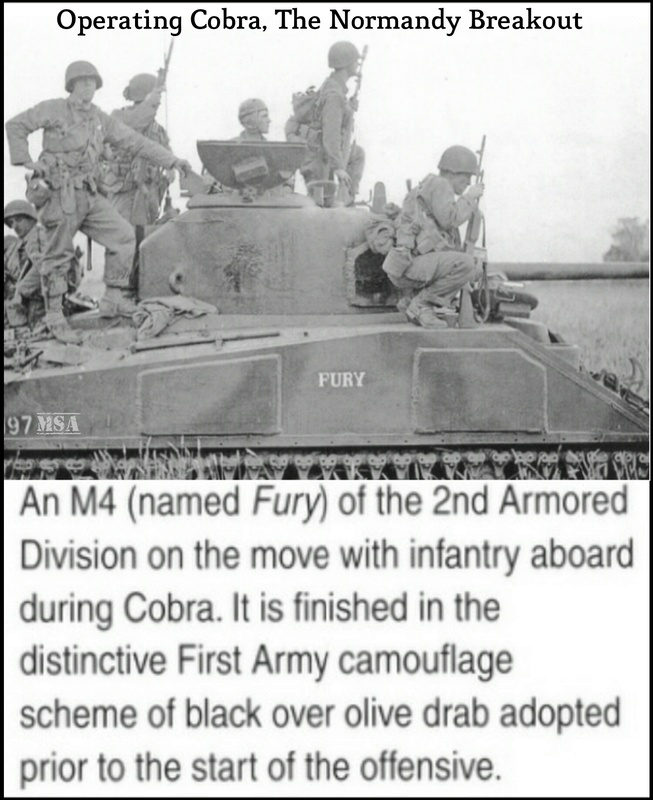 In Mr. Ayer’s story, the crew of a tank called Fury, one of about 10 real Shermans used in the film, have fought their way from Africa, to Normandy, across the Rhine and into Germany. Ragged, worried, and, in the case of Mr. Peña’s Trini “Gordo” Garcia, almost always drunk, they can see the war’s end, but feel like they can’t quite reach it. As the movie opens, they are preparing to scrape the remains of a headless buddy from the bow gunner’s seat. “I sure didn’t keep him alive,” Mr. Pitt mutters. Much of what his Wardaddy part does may shock viewers who have watched American soldiers behave brutally in Vietnam War films at least since “Apocalypse Now,” but have rarely seen ugliness in the heroes of World War II. In his harsh initiation of a new gunner, Mr. Pitt’s character crosses lines, both legal and moral. The portrayal is grounded in years of research that left the back corners of Mr. Ayer’s office crammed with books and war memorabilia. “He had every type of camouflage, and weapons, and uniforms,” said John Lesher, another of the film’s producers, recalling a trip to Mr. Ayer’s man cave in the Silverlake district of Los Angeles. Through all of it, Mr. Ayer, whose grandfather was serving on a submarine at Pearl Harbor at the time of its attack and whose uncle flew B-17 missions in Europe, learned what some who had made a deep study of the so-called “Greatest Generation” already knew: American fighters were not saints, but they were die-hard and their heart was undeniably the reason we were able to “win”. 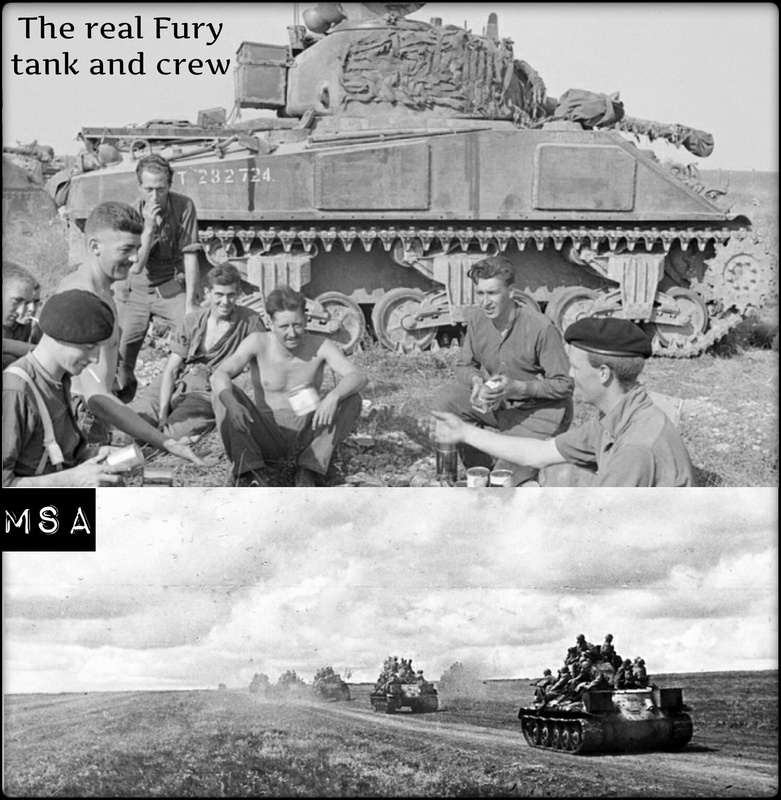 In the last few weeks, Mr. Ayer has been tidying up “Fury,” dropping in the last of his special effects shots and filming some brief inserts. The film, which cost about $80 million, was mainly shot in Britain. 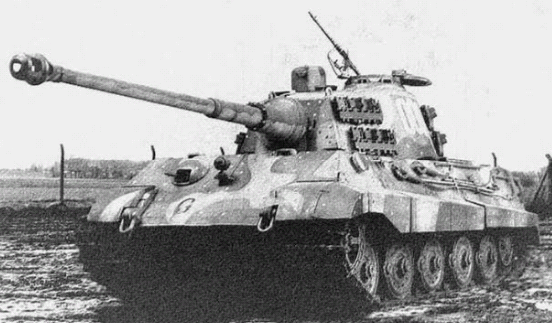 Access to tanks was a prime consideration, vintage Shermans were more readily available there. Plus, the production was permitted to use a rare, working Tiger tank, lent by the Tank Museum in Bovington. The fetish for authenticity extended to uniforms. Most were tailor made, and battered, to avoid falling back on rentals that might be familiar to those who had seen them in films stretching back to “Battle of the Bulge” (1965), but which had little connection to the real tankers’ weathered gear, or to the surprisingly sophisticated camouflage worn by the Germans. According to Kevin Vance, a former member of the Navy SEALs who consulted on the film and appears in it, the bayonet accident occurred when a combat scene got too real. An actor stabbed a stuntman, he explained, mistaken for a dummy lying on the ground. The principal actors were considerably roughed up before filming began. Pushed by the military consultants, they spent a week on a bivouac in England — no shaves, no showers, no plumbing — learning to handle the grimy side of soldiering. “Part of my job was to get them miserable, wet and tired,” said Mr. Vance, who supervised the boot camp. Mr. Lerman said long sessions with Mr. Evans and other veterans brought the war’s reality home. “It was incredible to sit down with them and hear their stories directly,” he said. Mr. Pitt’s decision to take the role of Wardaddy was a sudden one. Early last year, he read the script during a quick trip to Europe, and, on returning, immediately jumped in. Apparently, it mattered not that Mr. Pitt’s partner, Angelina Jolie, is directing a very different World War II story, Universal’s prisoner-of-war drama “Unbroken,” which will soon be competing with “Fury” on the awards circuit. A third drama set during the war, “The Imitation Game,” starring Keira Knightley and Benedict Cumberbatch, is also expected to set an awards push from the Weinstein Company. And Sony has already released “The Monuments Men,” a more lighthearted wartime caper, that opened in February. With Mr. Pitt on board, Universal, Paramount Pictures and New Regency Pictures fought for the project. But Sony made the first bid, and closed the deal when its president for business affairs, Andrew Gumpert, showed up, uninvited, at the agency to insist on having the last word. One near hitch in the deal making: QED, which is backed by the Russian investors Sasha Shapiro and Anton Lessine, initially found it difficult to sell rights in Russia. Distributors there were wary of a project that portrayed Americans on a push toward Berlin. The result is worth watching, no matter your thoughts about the backdrop though. The M-4 Sherman was the workhorse medium tank of the U.S. Army and Marine Corps during World War II. It fought in every theater of operation—North Africa, the Pacific and Europe. The Sherman was renowned for its mechanical reliability, owing to its standardized parts and quality construction on the assembly line. It was roomy, easily repaired, easy to drive. It should have been the ideal tank. But the Sherman was also a death trap. Most tanks at the time ran on diesel, a safer and less flammable fuel than gasoline. The Sherman’s powerplant was a 400-horsepower gas engine that, combined with the ammo on board, could transform the tank into a Hellish inferno after taking a hit. All it took was a German adversary like the awe-inspiring Tiger tank with its 88-millimeter gun. One round could punch through the Sherman’s comparatively thin armor. If they were lucky, the tank’s five crew might have seconds to escape before they burned alive. “If you’ve seen movies where the people come out of the tank all aflame—I saw that,” Stavros said during a video interview for a combat oral history sponsored by the National Endowment for the Humanities. The loss of both men and machines is hard to grasp. Simply put, in the heat of battle it was as dangerous inside of a Sherman tank as it was outside of one. Yet, the Sherman’s strength was in its numbers. It was one more example of the United States’ industrial prowess during World War II, a time where factory workers and factory output did as much to win the war for the Allies as the soldiers, sailors and airmen in battle. Companies ranging from the Pullman Car Co. to Ford Motors cranked out nearly 50,000 Shermans, the second-most produced tank during the war. Only the Soviet Union outdid the U.S. in tank production at that time through manufacturing the legendary T-34. In comparison, the Tiger—clearly the superior tank when compared to the Sherman—was made of costly materials, laboriously assembled and expensive to operate. 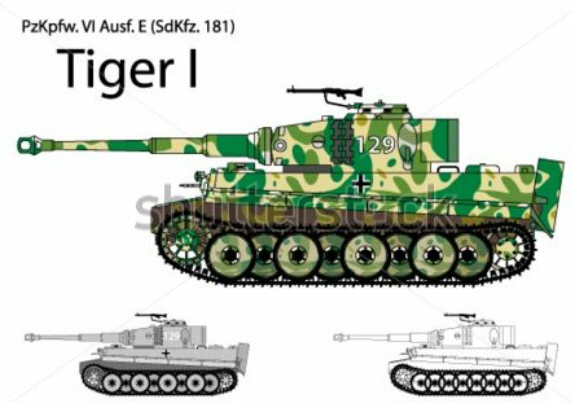 The Germans manufactured slightly more than 1,300 Tigers. 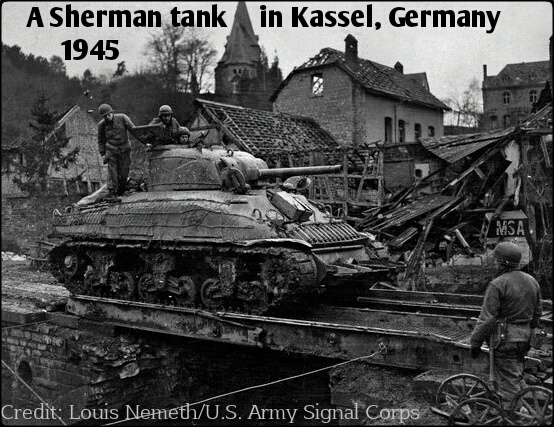 The Tiger outmatched the Sherman, but the United States always had another Sherman to put in the field. Whether there was another trained tank crew to man the Sherman was more problematic. But for all of its problems, infantrymen were always happy when a Sherman arrived. Common roles included infantry support—often times, soldiers would stack up in long lines behind Shermans as the tanks advanced across open fields, leading the assault and letting armor block rounds fired from German MG-42 machine guns or small-arms fire from enemy soldiers. The Sherman packed decent firepower. Although its 75-millimeter gun was less potent than German tank guns were, it still could fire high-explosive rounds that would level buildings sheltering German troops. Additional weapons included two M1919 Browning .30-caliber machine guns and a Browning .50-caliber M2 on a coaxial turret mount. Both guns could mow down German infantry or destroy machine gun nests. 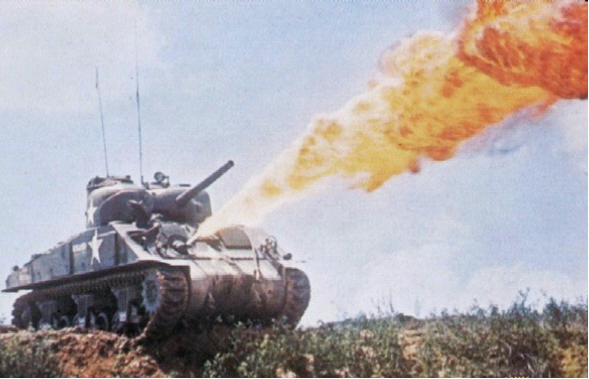 In the Pacific, Marines deployed Shermans equipped with flamethrowers to destroy Japanese defensive positions. Shermans modified to stream napalm through their gun muzzles blasted Japanese strongholds with jets of flame aimed at the enemy gun ports. Despite its many weaknesses, the Sherman tank became a mainstay for both the U.S. military and armed forces around the world. The Sherman tank remained in service with both the Army and the Marine Corps after World War II, and saw action throughout the Korean War. 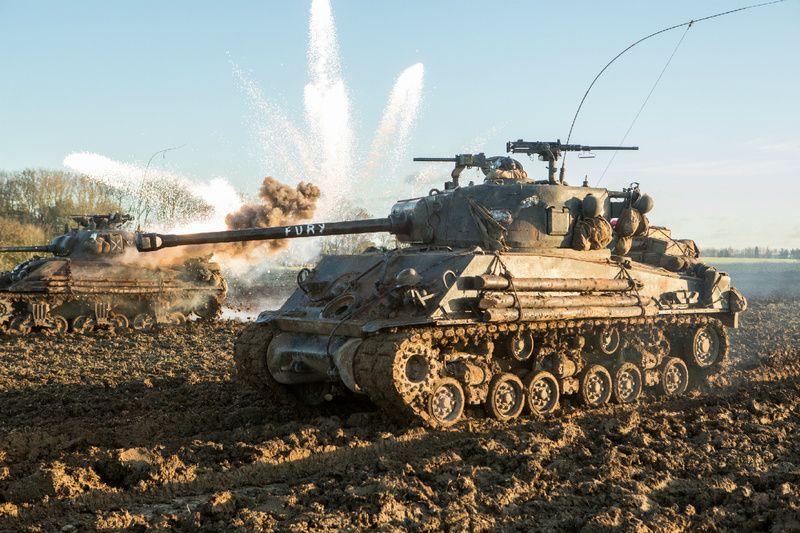 Even after the United States replaced the Sherman with the M48 Patton main battle tank during the 1950s, the Sherman served with U.S. allies until the 1970s. Heavily-modified “Super Shermans” even saw combat with the Israeli Defense Force during the Six Day War in 1967 and the Yom Kippur War in 1973.